Right-wing party led by students of Rabbi Meir Kahane accepts compromise deal with Jewish Home for 5th and 8th spots on joint list. After weeks of negotiations, the Otzma Yehudit party has agreed Wednesday morning to a joint run with the Jewish Home and National Union factions for the 21st Knesset. In a statement Wednesday morning, Otzma Yehudit announced that it had accepted a compromise deal with the Jewish Home-National Union alliance for a technical bloc, placing the three factions on a single list in the elections, but not obliging Otzma to remain with the Jewish Home and National Union in the Knesset. The arrangement offered by the Jewish Home and accepted by Otzma Wednesday morning would give Otzma the fifth and eighth spots on the joint Knesset list. The announcement on the breakthrough is expected to be followed by the signing of an election agreement between the three factions. Earlier, talks between Otzma and the Jewish Home had reached an impasse after Jewish Home representatives refused Otzma’s demands for either the fourth and eight spots, or the fifth and seventh. 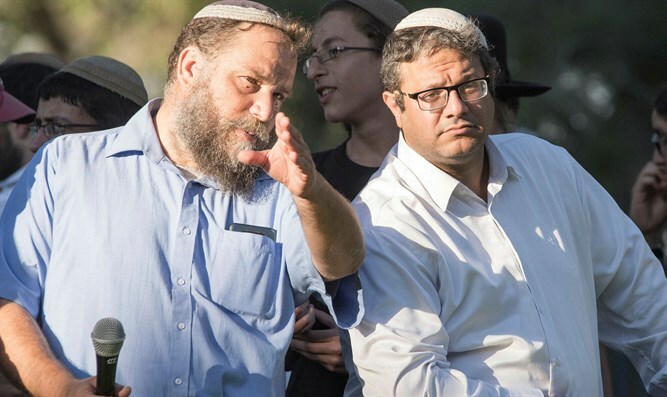 Rabbis advising Otzma, including former Hevron-Kiryat Arba Chief Rabbi Dov Lior, and Rabbi Yehuda Kroizer, Mitzpeh Yericho Chief Rabbi and dean of the Yeshiva of the Jewish Idea (the yeshiva founded by the late Rabbi Meir Kahane), said Otzma should accept the Jewish Home’s demands, even as they called the terms “unfair”.